Electric vehicles (EVs) are quickly becoming a more affordable and lower maintenance option than traditional gasoline or diesel fueled cars. EVs and Solar in D.C. Solar United Neighbors is currently involved in two action items to promote electric vehicles in the District: The Electric Vehicle Public Infrastructures Expansion Act of 2017 and Pepco’s Electric Vehicle Pilot Project. The Electric Vehicle Public Infrastructures Expansion Act of 2017, introduced by Council Member Mary Cheh, became law on March 29, 2018. It pushes the D.C. Department of Transportation to install 15 electric vehicle charging stations across all wards in D.C. by January of 2019. It also requires DDOT to analyze usage data and write a public report that recommends locations for additional charging stations, continuation of public/private partnerships, and other policies to incentivize EV adoption. In April 2017, Pepco filed a proposal to conduct an electric vehicle pilot project that incentivizes EV owners to charge during off-peak hours (8 p.m. to 8 a.m.) as way of managing the additional electricity demand from these vehicles. The proposed pilot would test time of use (TOU) rates in combination with the installation of level 2 electric charging stations for residential, commercial, and public spaces. It also proposed installing up to 4 public DC fast chargers. Solar United Neighbors intervened in this proceeding, fighting for rules to allow solar homeowners to participate in the pilot. In December of 2017, the Public Service Commission ruled that Pepco’s pilot should be processed through the ongoing grid modernization proceeding (MEDSIS). In response, Pepco revised the pilot and has been informing stakeholders of new details through a series of meetings held from April to June 2018, after which Pepco will refile the proposal with the Commission. In addition to the TOU rates, new program features include a larger number of opportunities for residential (including multi unit developments) and commercial participants, more public level 2 and DC fast charging stations, a grant fund for innovative third party projects, and technology education/demonstration tools. Washington D.C. is also receiving $8.1 million from the VW settlement. Although no funds were allocated to EV charging in the city’s plan, DOEE does plan to improve air quality by spending $4.2 million on electrifying city transit buses and refuse trucks, and $3.1 million on upgrading diesel locomotive switcher cars at Union Station with better diesel engines. The District also has several incentive policies that make purchasing an EV more attractive. Normally when residents purchase a vehicle they must pay an excise tax of 6%, but electric vehicles are currently exempt from this tax. The city also provides a tax credit for installation of EV charging infrastructure, up to $1,000 for residential and $10,000 for publicly accessible stations. 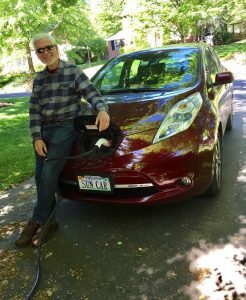 The Electric Vehicle Association of Greater Washington, D.C. – An organization of electric vehicle owners, educators and enthusiasts dedicated to promoting the use of electric vehicles (EVs) as an environmental and energy benefit to society. 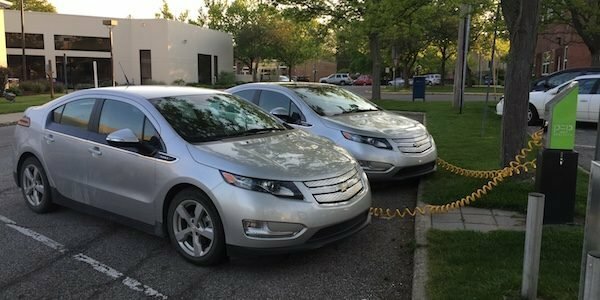 D.C. incentives for EVs – A specific list of incentives available to D.C. EV owners.